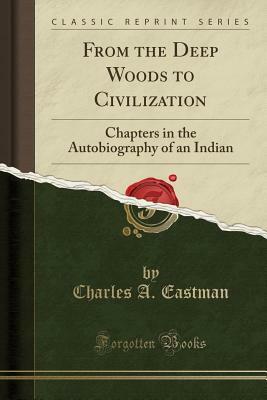 Indian boyhood, published first in 1902 and in many subsequent editions, pic tures the first of three distinct periods in the life of the writer of this book. His child hood and youth were a part of the free wilder ness life of the first American a life that is gone forever By dint of much persuasion, the story has now been carried on from the point of that plunge into the unknown with which the first book ends, a change so abrupt and so overwhelming that the boy of fifteen felt as if he were dead and travelling to the spirit land. We are now to hear of, a single-hearted quest throughout eighteen years of adolescence and early maturity, for the attainment of the modern ideal of Christian culture: and again of a quarter of a century devoted to testing that hard won standard in various fields of endeavor, partly by holding it up before his own race, and partly by interpreting their racial ideals to the white man, leading in the end to a partial reaction in favor of the earlier, the simpler, perhaps the more spiritual philos Ophy. It is clearly impossible to tell the whole story, but much that cannot be told may be read between the lines. The broad outlines, the salient features of an uncommon experience are here set forth in the hope that they may strengthen for some readers the conception of our common.